Celebrating 47 Years, Garth Fagan Dance has four premieres up its sleeve for its Joyce Theater engagement, November 7-12. Two of the new dances, “In Conflict” and “Estrogen/Genius,” are by Fagan, the Tony & Olivier and Bessie-winning choreographer of “The Lion King;” the other two premieres, “Wecoo Duende” and “A Moderate Cease,” are by the company’s long-time dancer, Bessie award winner and Fagan muse Norwood Pennewell. As with all of Fagan’s dances, the musical inspiration for the new works is wide and often unexpected. “In Conflict,” a New York premiere, first performed in 2016, is set to music by Avro Part, while “Estrogen/Genius” is set to music by the all-male a cappella group Naturally 7. Norwood Pennewell, the only other choreographer whose works are represented in the Fagan repertory (there are now seven Pennewell dances), will present the world premiere of “Wecoo Duende” to music by the late Sengalese composer and percussionist Doudou N’Diaye Rose and Sengalese drummer and kona player Seckou Keita, as well as the New York premiere of “A Moderate Cease,” set to music by the 20th Century English composer William Walton. Appearing at the Joyce will be long-time Fagan stars & Bessie award winners stars Steve Humphrey, Norwood Pennewell, and Natalie Rogers, as well as Vitolio Jeune, Guy Thorne, Wynton Rice, Adrienne B Hodge, Andrew David O’Brian, Davente Gilreath, Sarah Herbert, Nina Price, Le’Tiger Walker, and Rishell Maxwell. Tues, Wed and Sun eve @ 7:30pm; Thu, Fri and Sat eve @ 8pm; Sat and Sun mat @ 2pm. Tickets begin at $10.00 each and can be purchased by calling 212-242-0800, online at www.joycetheater.org. The Joyce Theater box office is located at 175 Eighth Avenue. Garth Fagan, a 1998 Tony Award-winner for his choreography for the Broadway hit “The Lion King,” began his career in dance by touring Latin America with Ivy Baxter and her Jamaican National Dance company. In addition to studying with Baxter, Fagan trained with Caribbean dance teachers Lavinia Williams and Pearl Primus, as well as with Martha Graham, Mary Hinkson, Alvin Ailey and José Limón. In 2012, Garth Fagan was selected as an “Irreplaceable Dance Treasure” by e Dance Heritage Coalition. An irreplaceable dance treasure has made a signi cant impact on dance as an art form, demonstrated artistic excellence, enriched the nation’s cultural heritage, demonstrated the potential to enhance the lives of future generations and shown itself worthy of national and international recognition. A graduate of Wayne State University, the Jamaican-born choreographer served as director of Detroit’s All-City Dance Company and was a principal soloist and choreographer for the Dance Theatre of Detroit and the Detroit Contemporary Dance Company. In 1970, he moved to Rochester, NY, where he founded Garth Fagan Dance. e company has since appeared in many major venues and arts festivals throughout the United States, as well as internationally in Europe, Africa, Asia, the Middle East, South America, New Zealand, Australia and the West Indies. Fagan has also produced commissions for a number of leading companies, including his first work on pointe, “Footprints Dressed in Red,” for Dance Theatre of Harlem; a solo for Judith Jamison, “Scene Seen,” for the debut of the Jamison Project; “Jukebox for Alvin” for Alvin Ailey American Dance eater; “Never No Lament” for the José Limon Company; and “Ellington Elation,” part of a triad of pieces commissioned by New York City Ballet in honor of Duke Ellington’s centenary and New York City Ballet’s 50th anniversary. For his path-breaking choreography for Walt Disney’s “The Lion King,” Fagan was awarded the prestigious 2000 Laurence Olivier Award for Best Choreography. He also received the 1998 Tony Award, the 1998 Drama Desk Award, 1998 Outer Critics Circle Award, 1998 Astaire Award, 2001 Ovation Award, and the 2004 Helpmann Award for his work on the Broadway musical, which opened in fall 1997 to extraordinary critical praise. In 2001, he received the Samuel H. Scripps/ American Dance Festival Award; that same year he was the recipient of the Golden Plate Award, inducted into the American Academy of Achievement, and presented with the Order of Distinction in the rank of Commander by the Jamaican government. Fagan also won the 2004 Helpmann Award. 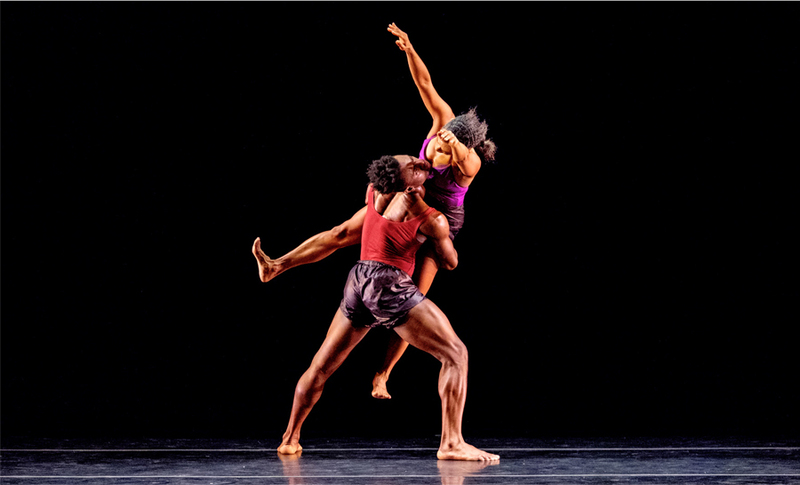 roughout the history of the Garth Fagan Dance Company, Five members have received New York Dance and Performance Awards (“Bessies”): Garth Fagan, Norwood Pennewell, Steve Humphrey, Natalie Rogers and Sharon Skepple. Norwood Pennewell joined Garth Fagan Dance in 1978 and has since become a quintessential Garth Fagan dancer and Fagan’s rehearsal director, assistant and muse. Pennewell currently teaches both company and master classes for Garth Fagan Dance. He is the recipient of the 1988 Bessie Award. Fagan has created several major works for Pennewell, including “Passion Distanced” in 1987, “Time After Before Place” in 1988, and “Moth Dreams” in 1992, among others. Pennewell’s dancing has been seen on “Great Performances,” “The Tonight Show,” and Duke Ellington’s “Queenie Pie.” In 1994, he was invited to perform at the 66th Annual Academy Awards broadcast. Pennewell assisted Fagan during his work on the award-winning Broadway show “ The Lion King” and the New York City Ballet 50th Anniversary Ellington Project. Pennewell made his debut as a choreographer in 2010 with “Hylozoic”, and later with “Liminal Flux” in 2011, “Gin” in 2013, and “After Hours” in 2014. 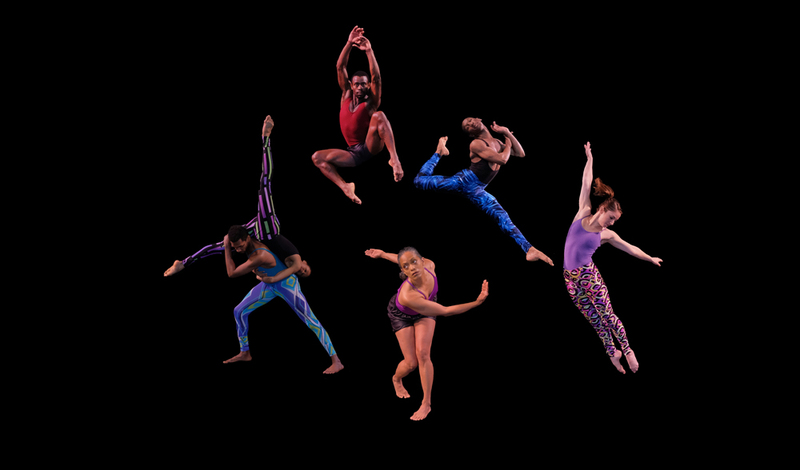 Pennewell’s “So You See” had its world premiere at the Joyce Theater on November 3, 2015. Garth Fagan Dance is supported, in part, with public funds from the National Endowment for the Arts and the New York State Council on the Arts.These performances are supported, in part, by the Anne Hayden McQuay Arts and Cultural Fund, and funds from the Mary W. Clarke Estate, Prizer, Xerox, and The Farash Foundation Ms. Deborah Ronnen and Mr. Sherman Levey Ani and Mark Gabrellian, Barbara and Edmund A. Hajim, The Handler Family Foundation and Ruby Lockhart. Please see attached schedule for exact program information, dates and times.